A comfortable stay option in Kurji with various hotel amenities. This property is located very close to the P&M Mall. Some nearby places of interest include Rajiv Smriti Sangrahlaya, Loha Gate and Basawan Park. 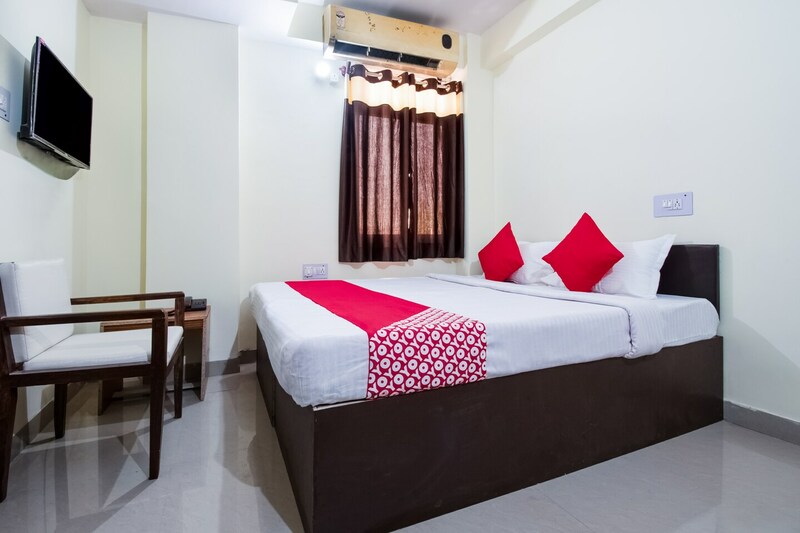 This property offers neat and tidy rooms to its with comfortable beds and clean and hygienic washrooms. This property offers TV, AC, Free Wi-Fi and geyser in every room. It also provides power backup and CCTV coverage. Some eating joints nearby to the property are Curry in A Hurry, Mohan Sweets, Cherry Sweets and The Pine.